Posted on March 7, 2019 at 2:06 pm. 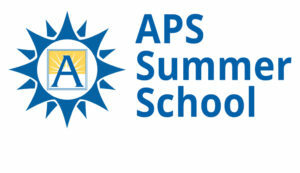 APS students should register at their home schools by 4 p.m. on the day of the relevant deadline. Please see the Summer School catalog for information on reduced fees, and your school principal for need-based scholarships. Only elementary students who are identified as eligible to receive remediation services may register for the Math and Language arts strengthening program. Elementary enrichment programs are open to students who are on or above grade level. Fun with Coding and Outdoor Lab have limited spaces. If enrollment exceeds capacity, a random selection procedure will be used and parents will be notified from the relevant program office on April 12 as to the status of their application. Non-APS Arlington resident students should register at their neighborhood APS school. Non Arlington resident students should register through the Summer School Office at the Syphax Education Center at 2110 Washington Blvd. Out-of-county fees apply for non-residents. Most but not all courses are open to non resident students. Please see the Summer School catalog for details. Registration forms will not be accepted after the posted registration deadlines. Important Summer School registration deadlines are listed below. Late Registration for current APS Middle and High School students only who need to repeat a class will be held at the Syphax Education Center from 8 a.m. to 7 p.m. No elementary registrations or High School New Work for Credit registrations will be accepted. In order to be eligible for transportation, elementary students who attend countywide programs during the school year, or who are transfers during the school year, will attend their neighborhood school for strengthening in the summer. See the Summer School catalog for details regarding transportation and program information. Only elementary students who are designated by their principals as eligible to participate in a strengthening program will be able to register for Math and Language Arts or a countywide Special Education program (a school administrator signature is required on the form). Students who are on or above grade level are eligible to register for the elementary enrichment programs. Parents who would like to enroll their child in selected elementary enrichment programs may do so online. Links for Global Village http://bit.ly/GVS2019; Math Academy https://goo.gl/forms/UhPO0ZUAokxfLJd23; and Summer Laureate apsva.us/summer-school/summer-laureate-application/ will go live March 7. Payment must be made with a mySchoolBucks account at the time of registration. If you do not wish to pay with a mySchoolBucks account you may submit a paper registration form and check at your child’s school by the deadline listed. These programs are NOT filled on a first-come, first-served basis. All students who apply within the regular registration period (March 7 – May 3) and meet any applicable eligibility requirements (such as grade level) will be accepted. Registration for the elementary enrichment Fun with Coding class is by paper registration and check only. Forms and checks should be submitted directly to the CTE Office, Department of Teaching and Learning, 2110 Washington Blvd., Arlington, VA 22204. The program is limited to 80 participants per session. If enrollment exceeds capacity, a random selection procedure will take place and parents will be notified of the outcome on April 12. Reading Camp for students with disabilities will be held at each of the elementary strengthening locations. Parents should register for the program at their home or designated cluster site. The elementary Spanish Immersion Program will no longer be offered in the summer. Key and Claremont students who are identified by their principals as in need of strengthening will attend their neighborhood schools for Math and Language Arts. While students will receive reading and math interventions, they will also have access to activities blocks taught in Spanish. Additionally, the Global Village program will also be adapted to include at least one daily learning experience in Spanish. Program fees are due at the time of registration and are non-refundable except under very limited circumstances. Transportation for secondary programs will only be offered before first and after second period; secondary students who register for one period only will not be allowed to stay at school when they do not have a class, and will need to arrange alternative mid-day transportation. Information on Arlington County transit options is available at www.arlingtontransit.com. A teacher signature is required on all registration forms for students enrolling in strengthening programs at all levels. At the secondary level, a counselor signature is also required on all new work for credit registrations. Eighth grade English, Math and Physical Science are only open to students who fail these courses during the year (if students are unsure about whether they will pass, they should wait to register at secondary late registration on June 24). Reduced fees are available for families who qualify for free or reduced lunch. Scholarships are also available for those in financial need through their child’s school principal.